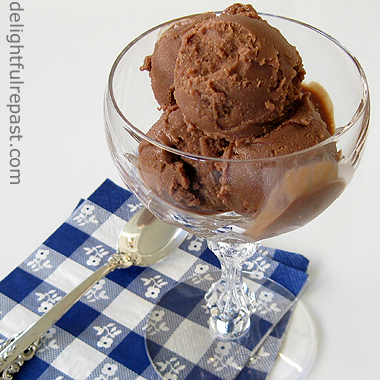 Delightful Repast: Vegan Chocolate Ice Cream - But It Tastes Just Like Regular! Vegan Chocolate Ice Cream - But It Tastes Just Like Regular! Chocolate ice cream without the cream? Not even milk? The ice cream fans I served it to the other night said "I would never have known!" Yes, winter seems a crazy time to be making ice cream, I know, but I developed this recipe for a friend who lives in a winterless region. Developing a recipe for nondairy ice cream had been on my to-do list for a long time. Just as I have no problem with gluten myself but develop gluten-free recipes for others, I have no problem with dairy but wanted to develop a recipe for a dairy-free friend. Her husband has recently come to think he has an egg allergy as well, so I developed a recipe that is both egg- and dairy-free. Perfect for vegans too! Of course, I used all organic ingredients. It's especially important to get organic tofu, as soy products that are not organic are sure to contain GMO soy. And always get organic canola oil for the same reason. Say No to GMO! Jo, this one's for you! 1 In 2-quart saucepan, whisk together sugar, cocoa, cornstarch and salt. Gradually whisk in the oil and 1 cup of rice milk. Cook over medium heat, stirring constantly, until mixture thickens and bubbles for 1 minute. Remove from heat. Stir in 1 cup rice milk, Kahlua and vanilla extract. Pour into 2-quart glass measure (to make pouring into the machine easier). 2 In food processor or blender, process drained tofu until very smooth, about 1 minute. Add to cocoa mixture and whisk until thoroughly combined. Cover and refrigerate until well chilled, at least 4 hours or overnight. 3 Assemble the Cuisinart ICE-21 Frozen Yogurt-Ice Cream-Sorbert Maker; turn it on. While it is running, pour the chilled mixture through the spout. Let mix until thickened, about 15 minutes. Or follow the directions for whichever brand ice cream maker you have. If you have a KitchenAid, you can use their KitchenAid Ice Cream Maker Attachment. 4 Transfer the soft ice cream to a freezer-safe airtight container, and place in freezer for at least 4 hours. If it is super hard when you're ready to use it, remove it from the freezer 15 minutes before serving. At last you get around to a main course entree! Looks entirely edible on every sensory level. Since there's nothing ersatz about you, I'm sure this is bonafide superb stuff. BTW, ice cream in winter is absolutely...um, kosher. I often drink melted ice cream when skiing on the trails. Not at all chilling. Methinks it's the contrast -- e.g. hot chocolate and arctic temps -- that leaves people shivering. Hot liquids may be resuscitative, but liquids at or near the ambient temp just seem to put one in sync. He said. Which makes me think about home heating and cooling ... I think the home temperature should be as close to the outdoor temperature as possible. What's with people turning the thermostat up to 84 degrees just because it's cold outside! Then when summer comes and it's 84 degrees in the house, they turn the A/C down to 65! Spot on, Jeani abt the furnace/AC. It's the fact that our sedentary species tries to regulate its temp externally like lizards, instead of pumping blood or moving through air. Looks delicious even though it's vegan! I've had dairy free ice cream from the store before and they're pretty good these days but I bet this home made recipe is much better. One of these days I'll have to dig up my ice cream maker and put the tub in the freezer so it's ready to go when I am! Richard, once you get going with your ice cream maker you'll want to keep the tub in the freezer at all times like I do! Yes, Greg, I think a side by side taste test is always the answer - twice as much to enjoy! Sounds Yum! However I have to say your Eggnog Ice cream got a five star rating from my family! Thanks, Susan! I must say my eggnog ice cream is our personal favorite too. But if you ever have a guest coming who is allergic to dairy or eggs, you'll have it covered! Thanks, Christine! This *would* be good for the guessing game, wouldn't it! Charles, thank you! Coconut milk is fine for those who don't mind the flavor of coconut, but I know a lot of people who don't like it. Almond milk would be good, too, but so many of the people who are allergic to dairy and eggs are also allergic to nuts. So ... The tofu has the added benefit of protein. No way... I need to try this! I don't have an ice cream machine (yet), but I'm going to have to beg/borrow/steal one so I can make me some ice cream. Thanks, Kyleen! Just click through on the link and order one--hey'll get it to you in no time! Yum! Ice Cream. I am living on my Christmas fat. I'M living on my blogging fat--I've heard of the Freshman Fifteen; how about the Foodie Five! Ooohh.. you could have told me that was regular ice cream - I bet I wouldn't even know the difference :) Looks lovely..will have to give this a shot for sure! Thanks, Jenn! That's always my aim when developing a "something"-free recipe. I'm not happy if it's just "good, for dairy-free." I want it to be good PERIOD! I appreciate your kind and sweet comment today while visiting my blog. Made my day !!! 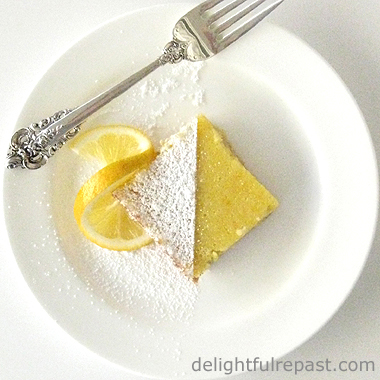 I have been a longtime reader of Jane Austen Today and my blog was originally just a foodie blog...now I occasionally do recipes and am so happy you post VEGAN recipes that I can trust are good. My son,his wife and their son are all Vegans/Vegetarians and I am often at a loss as to what to make for them so they bring their own food most of the time. Thank you so much, I'm making the chocolate dessert next time they come over ! Thank you! I hope your son and his family will enjoy my vegetarian and vegan recipes. Do let me know how they work for you! This chocolate ice cream is rich and flavorful on its own, but it is also delicious with chocolate syrup. This recipe is dairy and soy free and tastes amazing. This ice cream is great for the health-conscious dessert lover. Thanks a lot. Hi Jean. Looks like your blog/comments are working fine now. Right? Did you get your issues worked out? Let me know if you need something. Come back and visit when you can. Hi Jean! This looks fantastic. I don't think I've seen a recipe using tofu with canola oil like this, I'll have to give it a try. I also love coconut milk based vegan ice creams. Today I used my Vitamix to make homemade cashew milk which I'm convinced would also make some seriously fantastic ice cream. I'm going to have to check out your vegan tag since my husband is vegan. Sandra, well, not exactly. I just downloaded a different browser, and things seem to be working in the new browser, but they are still messed up in my two other "regular" browsers! Thanks, Thekla! The coconut milk vegan ice creams are good, too, but for people who don't like the taste of coconut that definitely comes through ... I'm sure the homemade cashew milk would be wonderful in ice cream! I don't know what made me think of trying tofu and canola oil--I just woke up one morning with the idea; my brain works hard while I'm sleeping! This looks like a great recipe Jean. The photo of it looks delicious! I LOVE ice cream so going vegan is some thing that I had to be really ready for.